I remain glad that I did not sign up this year. Specifically, we’re in the height of strawberry season here and there are not strawberries in the CSA box. I bought a bunch. The box itself is still very green. I’ll go with the “good” category plus the summer squash & arugula. I also purchased tomatoes this week. 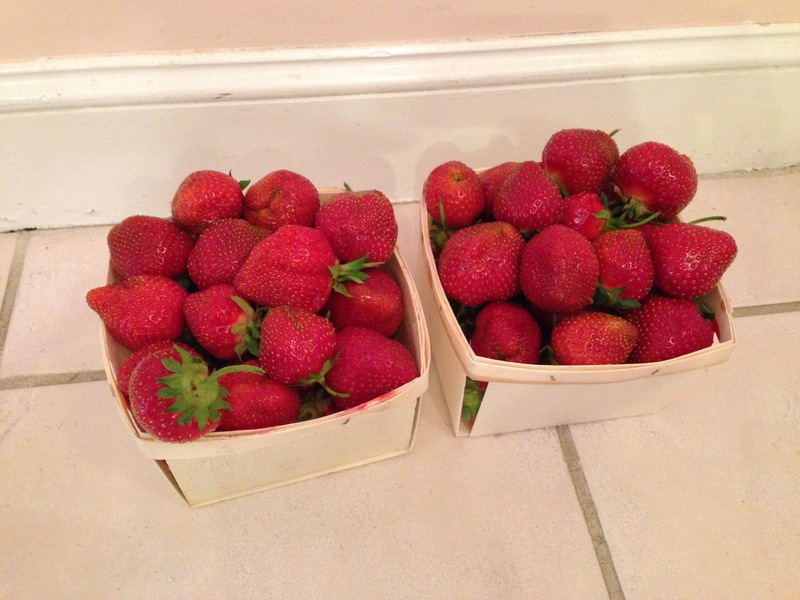 We were able to harvest some strawberries from our garden – not too many but enough for two kids lunches.